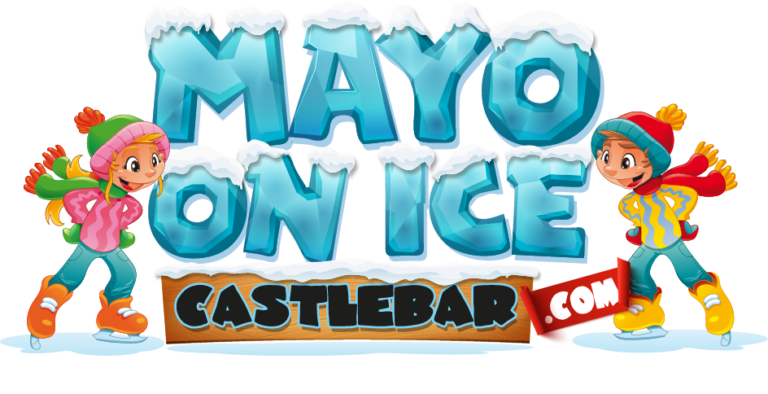 Tickets can be purchased online through www.mayoonicecastlebar.com or at the cash desk on site. Is there special rate for groups? How long is does a skating session last? Sessions are 55 minutes long. Please arrive at least 20 minutes before your scheduled session is due to start. Can I buy gift vouchers for Mayo on Ice? Yes, gift vouchers can be purchased at the cash desk on site. Hot drinks and soft drinks are available onsite along with confectionery items. Yes, Mayo on Ice is centrally located and parking is available at nearby public car parks. What clothing should you wear?